Last month I spooked a few people by posting that I was “SEEKING HELP on Protecting Houses of Worship.” There was no immediate danger. Rather, I am beginning to collaborate with a religion scholar on a possible research project on church/congregational security. We are in the process of putting together a research proposal, and I wanted to survey the field as quickly as possible by harnessing the power of the social media hive mind. This is the first of two posts that highlight what I found. Here I will list training organizations, groups, and individuals (along with their own descriptions of what they do), and in a following post I will look at other available resources. As I intend to update these two posts regularly, if you have other leads for me to follow up on, please let me know. You can see in the original post a list of the various possible resources I am after. The Security Leaders Coalition was founded out of necessity with a handful of safety directors working at various churches in southeast Michigan. The initial goal was to share information with the understanding that many safety and security concerns were not isolated to individual churches. This small group quickly grew as more religious organizations joined along with representatives from local, state and federal law enforcement. Now the group holds regular meetings with multiple chapters and provides training and information on best practices for safety directors and their teams. The Coalition began in September 2015 with a meeting of 10 church security leaders from 6 organization. At the end of 2017 we have grown to 50 faith based organizations. In the beginning we were simply trying to deal with the challenges of safety and security in our Churches. We started with different perspectives and a willingness to work together and share what we had. The Security Leaders Coalition emerged out of a pursuit to share information, learn from each other and make our organizations safer places for our kids, members and guests. Church Security Alliance is a community of local church members working together to balance the need of protection against the need of an open faith community. It is no secret criminals target churches through theft, child abuse, vandalism, arson and violent crimes. We believe God has gifted men and women within the local church to provide basic protection services from the view of a servant’s heart. On October 18th, 2017, the IRS approved the Faith Based Security Network, Inc. (FBSN) as a 501(C)(3) public charity. We will soon be rolling out the details of how this new ministry will help law-enforcement and faith-based organizations (FBO’s) work together to better prepare for the next one. And there will be a next one. National Organization of Church Security and Safety Management (http://www.nocssm.org). Founded by Chuch Chadwick. National Organization of Church Security & Safety Management (NOCSSM™) is a national organization of churches across the United States. We provide our members with educational resources to help them in their security efforts. Resources include our web site which includes written policy and procedure templates, best practices for church security and training videos from some of our national conference sessions of special interest to church security teams. Carl is based out of Colorado Springs, Colorado. He has had professional interaction with security and law-enforcement professionals in 45 states, specifically regarding faith-based organization (FBO) readiness and security operations. He has physically been to 33 states for speaking engagements and / or on-site interface with FBO security and / or law-enforcement involved with FBO’s. He first worked with an architect’s design team on physical security needs in 1992, and done so many times since. He performed his first FBO risk assessment in 1995 and has done many since. He served for 11 years on a mega-church security team to launch, then to participate in the ongoing operations. Since 1999, over 800 people have died a violent death while on church or faith based property. In addition, thousands have been sexually molested while on church or faith-based property (or at church-related events). The Sheepdog Seminars are designed to help churches, faith-based properties, and all other organizations and institutions, be prepared against such violence. Christophor Perlatt — currently serving as an active law enforcement officer with over 24 years of service. Dwayne Harris is an Ordained Bishop within the Church of God of Cleveland Tennessee. He is the founder of Full Armor Church and is an International Evangelist. Dwayne has been featured on Christian television, radio, and as a keynote speaker. In addition to ministry, Dwayne serves in full time law enforcement as a criminal investigator in Central Florida. He is a decorated officer with over 16 years of experience and has served on the S.W.A.T. Team and Crisis Intervention Unit. Dwayne is a licensed law enforcement instructor and teaches various tactical and investigative courses at State Universities. He has also provided law enforcement and military training inside Guatemala, in exchange for the opportunity to share the Gospel message. As a result, they have seen over 1900 officials respond to receive salvation in the last 6 years. 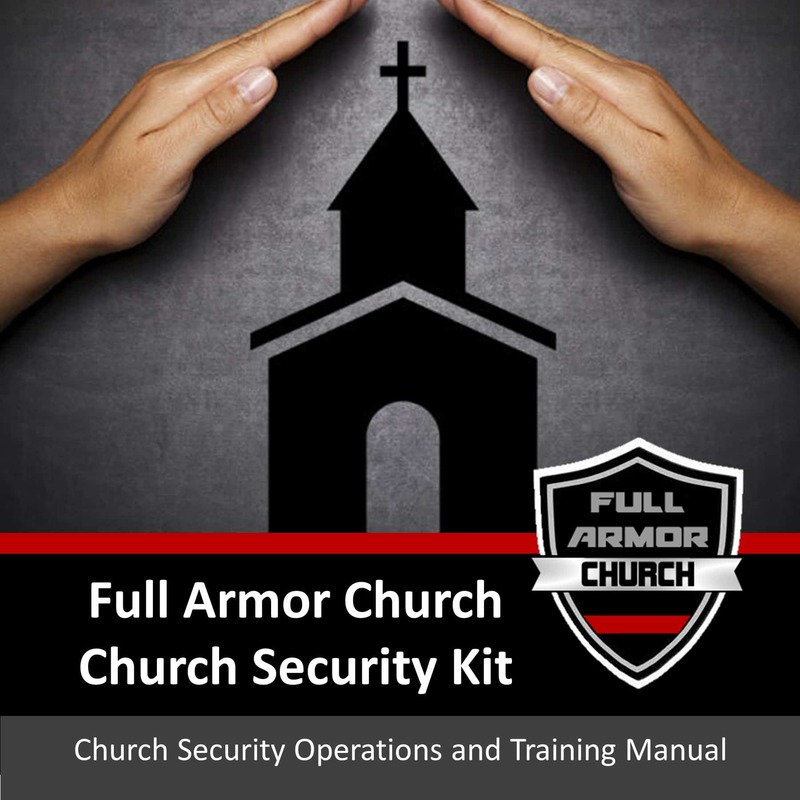 Dwayne developed the Full Armor Church training program after seeing a need for security programs that are tactically sound and spiritually centered. He uses his firsthand experience of law enforcement tactics, responses to critical incidents, de-escalation and control techniques, and spiritual warfare concepts to build realistic security models. Your safety is your responsibility – that’s true at home, at the grocery store, taking your dog for a walk, and even at church. We’ve seen church security first-hand and we understand how difficult it is to create and maintain a functional church security team in both very small and extremely large churches. I teach seminars at churches on “Responding to an Armed Threat” and on “Organizing a Church Safety Team.” I have both an extensive law enforcement background and more than 27 years as a pastor. I usually teach between 2 and 5 seminars per month. For years, many churches assumed that “it can’t happen here.” It took catastrophic active-shooter events for the majority of congregations to realize that they, too, were vulnerable to a church shooter. Strategos International is a faith-based organization and understands the vital role that churches bring to communities. We not only train churches in security, we provide it in the congregations where we worship. Strategos is adamant that churches do not have to (and should not) “militarize” in order to have a secure environment. In addition, there is no one-size-fits-all approach to church security. While a set of core principles must be followed, there is a diversity of approaches toward protecting congregations. Every member of the LionHeart Team has felt a ministry calling to help prepare churches for the increasing challenges of these times. With the rising threats to churches there is a critical need for professional church security resources and training. The Secure Church program has been developed to ensure that churches are empowered to stand-up and maintain an effective, verifiable and certifiable church security ministry. The LionHeart team is composed of nationally recognized law enforcement instructors with professional backgrounds in the US Military, Secret Service, FBI and local police/SWAT. What makes these instructors particularly effective is that each of them leads the security ministry in their home church. Today’s church security challenges require more than static information provided piecemeal by online sites or narrowly focused training events. That is why the LionHeart Team initiated the Certified Secure Church professional church security training and accreditation program. We provide a wide range of security related services from training to protective services for law enforcement, the General Public, businesses, government & houses of worship. We have 2 training options available the first is Active Attacker Defense for Parishioners. It’s a 4 hour discussion & scenario based program for congregation members. The other option is a certification program I am trying to launch, it’s called Certified House of Worship Security Specialist. It’s an intensive 10-hour training course and covers everything from active shooter to bomb threat suspicious package executive protection and evacuation management. Our Church Security Team Training is offered in 4, 8, and 12 hour lengths depending on each church’s needs. ​The classroom sessions and range firing will be conducted at Precision Shooting Center. If requested, a consultant can meet at your church to help your leaders plan or to conduct a Security Team Class with workbooks. Our instructors are certified by NRA, USCCA, or the State of Mississippi. Tags: church security, gun training industry. Bookmark the permalink. I hope this is the type on government involvement you are looking for. The federal government, through FEMA, has a website listing resources for protecting houses of worship. They had a webinar on that subject and the 2-hour recording is listed among the resources. I am not sure of your protocols for links, but on the FEMA website there is a “faith-resources” page and one on “protecting-houses-worship” page. Yes, thank you. Any and all resources are welcome. You may have seen these FEMA resources listed in my Part 2 post. Really surprising and interesting to see! Tim Easton, Castle Defense 360 Security Consulting based in Lebanon, Missouri. We have 2 solutions, a 4 hour Active Attacker Defense for Parishioners & a 10 hour Certified House of Worship Security Specialist (CHSS) programs. The CHSS course includes executive protection skills in addition to Active Attacker/Shooter, Bomb Threat Suspicious Package and Emergency Planning. Great idea and a proactive approach to trying to get the problem fixed. I submitted my information through the contact tab, looking forward to a response. We are a long way away from resolving these threats and actions but as long as we’re working together and moving forward, we will get there. Forever Vigilant LLC would like to thank David Yamane for mentioning us in his article. We are honored and humbled to be involved in training the protectors of God’s flock.